Bathroom decoration is more complicated because waterproof works must be done, otherwise it will leave endless troubles and affect the normal life of themselves and their neighbors. 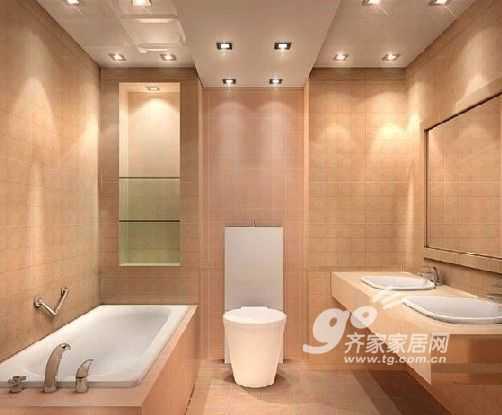 There are many bathroom waterproof materials that are currently popular, and the effect is not bad. As long as you pay close attention to the operation of the construction party, avoid cutting corners, and guarding against the attention to detail will not be a big problem. 1. Level the bathroom floor first. If you want to change the floor tiles of the bathroom, you must first level the floor with cement mortar after the original floor tiles are cut, and then do the waterproof treatment. This will prevent leakage of the waterproof coating due to uneven thickness. 2. Joints should be brushed into place. The seams between the bathroom wall and the seams between the upper and lower water pipes and the ground are the most prone to problems. During construction, you must urge the workers to handle these corners. All waterproof paint must be applied in place. 3. Wall treatment is also very important. In the general bathroom waterproofing treatment, a waterproof coating of about 30 cm in height is also required on the wall to prevent water accumulation from passing through the wall. However, if the wall of the bathroom is a non-load-bearing light wall, the entire wall should be covered with a waterproof coating. If your home uses a two-seater shower screen, the two walls that are associated with it must be fully painted. If your home uses a bathtub, the height of the waterproof coating should be higher than the upper edge of the bathtub. 4. Waterproof experiment must be done. After the construction of the bathroom was completed, all the water in the bathroom was blocked, and a 25 cm high â€œcanâ€ was built at the entrance. Then, 20 cm of water was poured into the bathroom. After 24 hours, you can check whether there is any leakage around the wall and the ground. This 24-hour waterproof test is the key to ensuring the quality of the bathroom waterproofing project. You must do it. 5. Keep the water open. All sewers in the bathroom, including floor drains, sanitary ware plumbing, etc., should be kept open. In this way, we can fundamentally avoid the occurrence of the "flooded seven army" tragedy.